Remember what iOS was like before the days of folders? Page after page of assorted icons, and not only was it impractical, but an eyesore. Since iOS 4, things have been much easier to manage, but customization of said folders has been typically lacking from Apple. Despite boasting a dual-core A6 processor, not even the latest iPhone 5 can handle more than a few icons in one folder, and as for the folder icons themselves cannot be altered to look less cluttered. As jailbreakers will know, there are plenty of tweaks – namely chpwn’s InfiniFolders and ashikase’s revered FolderEnhancer – to allow for more icons in one folder, and if you’ve been looking for a way to change the folder icons from 3×3 to an altogether less-cluttered 2×2, you now can thanks to 2×2 Folder Icons. 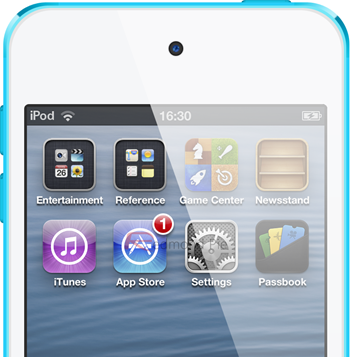 Created by Surenix, veteran of AndroidLoader, iRetina++, and a bunch of other iOS themes, it doesn’t have any effect on the contents of the folders themselves, but in the icon, instead of seeing nine minute icons, you’ll instead have four, slightly larger icons. Minor a tweak as it may seem, it can actually make a home screen look a lot cleaner and minimalistic, and if you’re something of a perfectionist when it comes to theming your device, this is one you’ll want to have as an option. 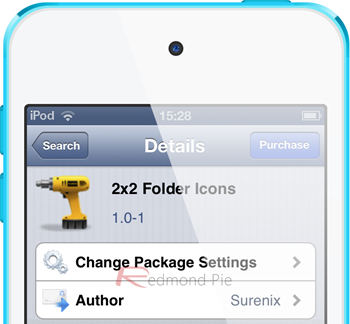 Settings for 2×2 Folder Icons can be found in the Settings.app once you’ve installed the tweak on your device. It costs $0.99 from the BigBoss repository, which should sit in your default list of sources in Cydia unless you have chosen to remove it. There are tweaks out there which allow you to completely change your folder icons, but this is a nice, subtle alteration which sits well with the native look of iOS. It’s not heavy or resource-hungry, so if you’re looking for a way to de-clutter the look of your icons, you cannot really go wrong with this one. Download, install, and let us know what you think of this particular tweak by dropping a comment via the usual mediums below!